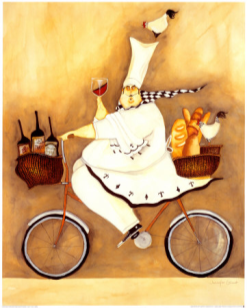 "French cuisine is, with some justification, famous across the world, and is thought by many - especially the French themselves - to be the best in the world. This may or may not be true, but it certainly includes some of the most imaginative and delicious dishes ever invented." 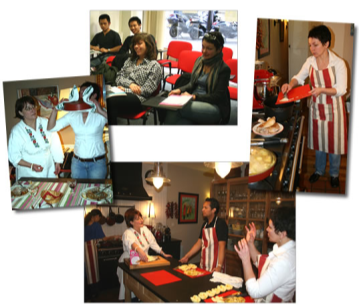 By attending and participating in the French Communication Institute’s French cooking and baking classes, our clients will discover a profound respect for superior ingredients, an extensive repertoire of recipes and a wealth of culinary knowledge usually reserved for chefs exhaustively trained in the art of French cooking and baking. After taking several of our French cooking and baking lessons, our clients will find themselves on the telephone extending invitations to friends and family for Sunday dinner à la français. Lessons are sold in Blocks of 4. Each class is $55.00. Advanced Reservation and payment are required. Students may register at the main office or by phone.